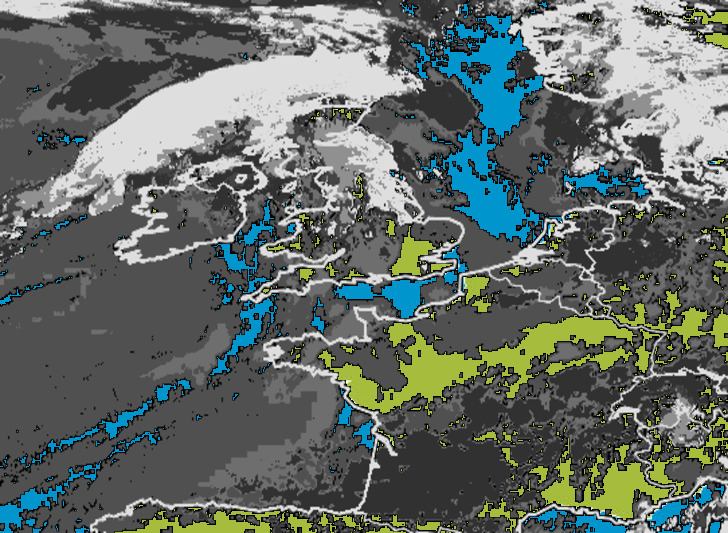 A rather cloudy start for much of the UK although clear and bright for the Southeast this morning. 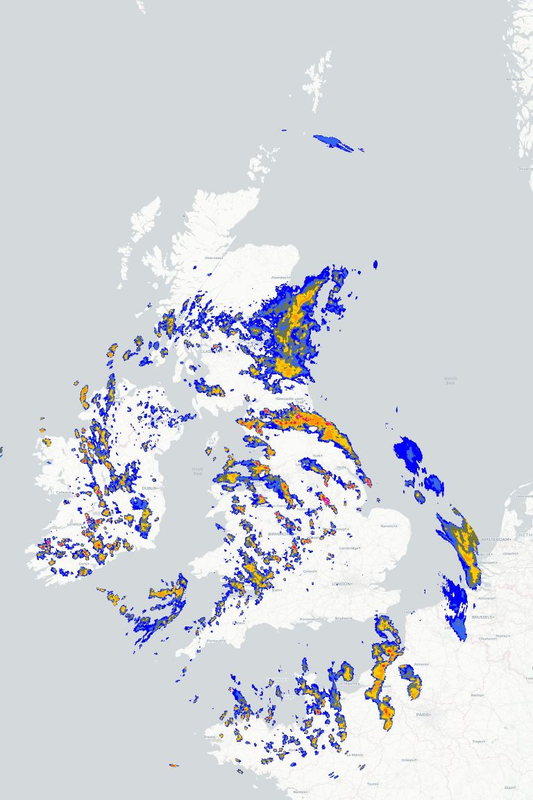 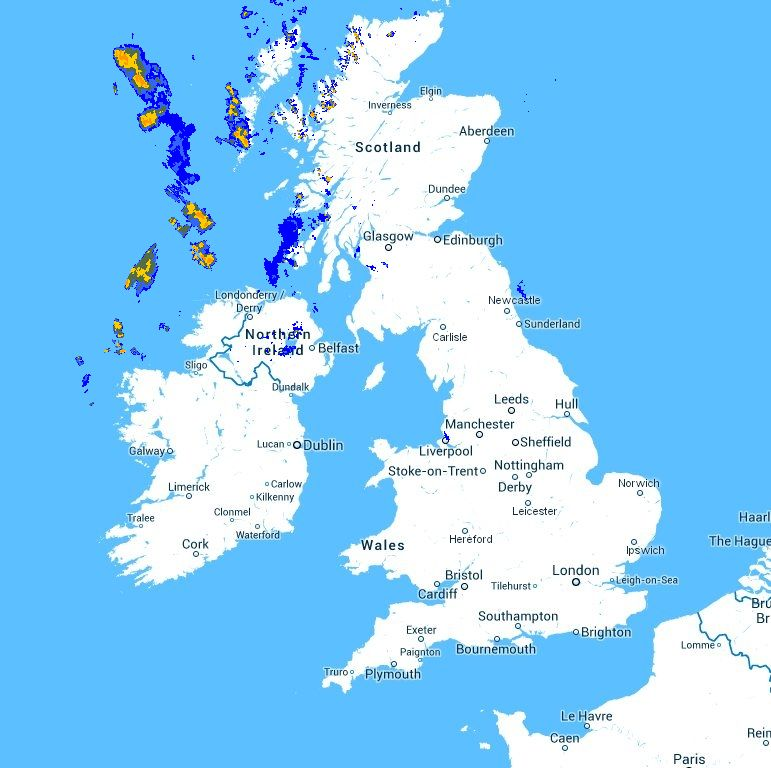 Some showers still continuing to affect parts of the Western Isles and Northern Ireland this morning but dry elsewhere. 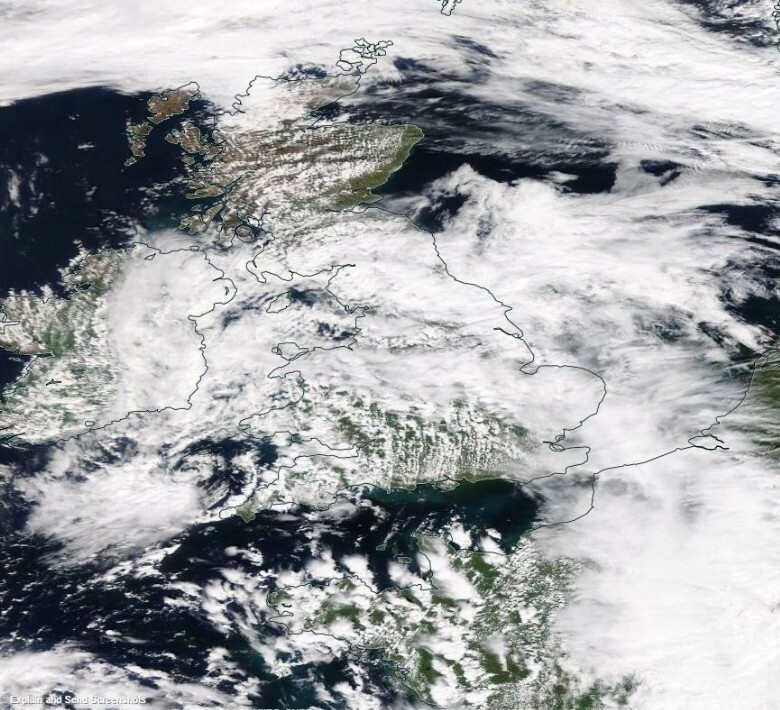 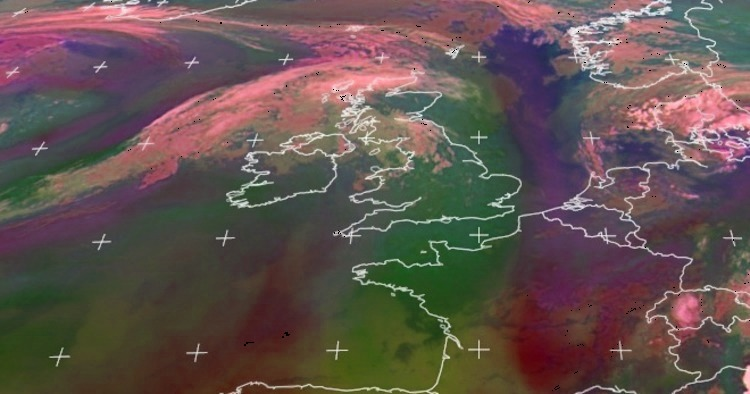 Airmass shows the UK in the warm sector this morning and you can see the cold front to the Northwest which will make slow progress Southeast throughout today and tomorrow.